After racing 11 rounds of the 2017 Lucas Oil Pro AMA Motocross Championship on a factory Husqvarna FC 450, Martin Davalos accepted an offer to come back to Mitch Payton’s Monster Energy/Pro Circuit Kawasaki race team—the team he began his professional career with—for the 2018 racing season because he wanted to become a champion. It didn’t work out that way in 2018, as the Quito, Ecuador, native found himself battered and bruised immediately following the ’18 East Region opening round at Dallas. His entire season bottoming out a mere four weeks later when he decided to head to his favorite doctors’ office. But that was then, and this is now. After flying at the test track, Davalos is back and has a fresh start with hope to make another run at the 250SX title he so dearly and desperately wants to call his own. We caught up with Davalos earlier this week before his season-debut in Minneapolis. 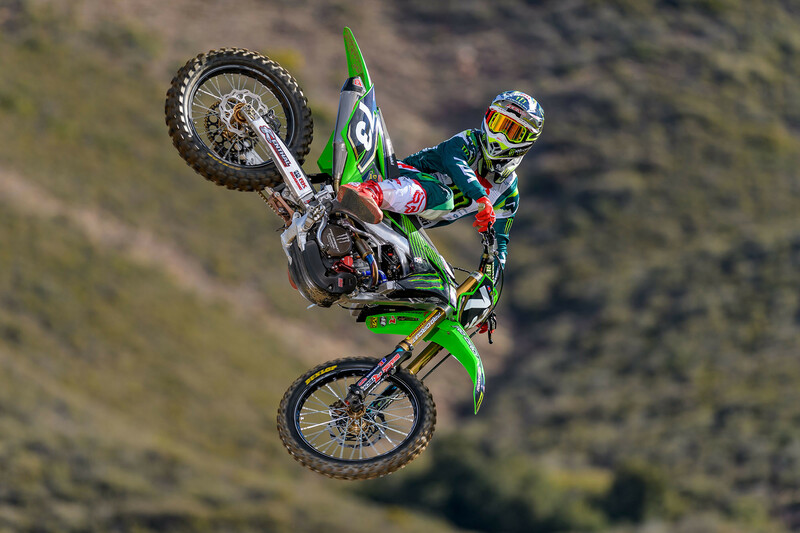 Racer X: Okay, we’ve heard you’ve been going really, really well out at the Kawasaki test tracks. What do you think? 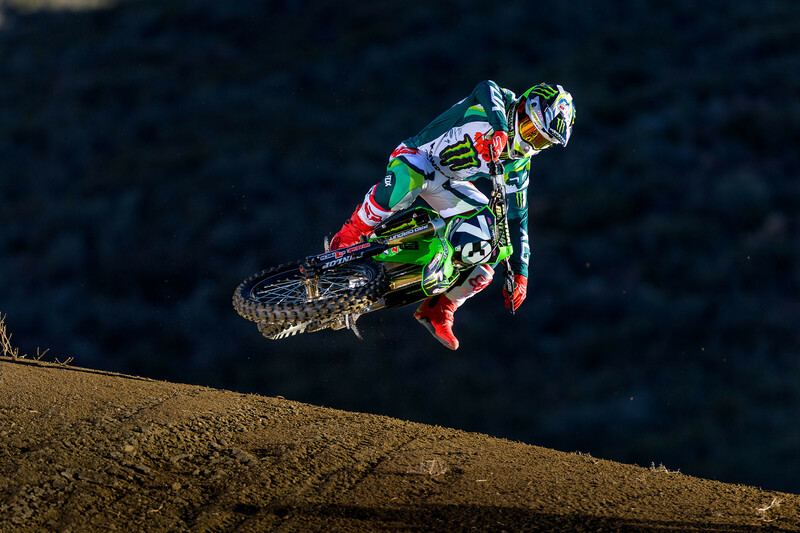 Martin Davalos: I’m riding well right now. I feel like everybody in the East is going to be riding well, you know? It’s different at the practice tracks. I’ve been around for a long time. Like you said, I’ve been around 13 years now. Racing is different. The good thing about me is that I do have the experience and I know what to expect. I just want to be there for the last round, you know? That’s pretty much how I’m approaching this season. Going into last year it was pretty much the same scenario for me. There is only so much you can control and unfortunately for me last season in Dallas, I didn’t get the best of that. That kind of put me out. You know, I’m not coming into this first round this Saturday telling myself, “You either win or win.” I just want to come into it and kind of get my feet wet and see how everybody is riding and what I need to do or what I need to do to improve or tinker with the bike. I just want to start a great season. This first round, for me, is to go out there and see where I’m at. Like I said, it’s been a great off-season. I’ve learned a lot. I’m surrounded by a great group of guys. Ricky Carmichael comes and rides with us and has helped quite a bit and so has Jeannie [Carmichael]. Man, I just want to go out there and have fun. I mean all the work has been done. Having Ricky Carmichael in your corner must certainly be a huge plus. Yeah, Ricky is awesome. It’s been good to get some of his knowledge. He knows what he’s talking about. He’s not telling you things just because he’s making it up. The guy is the greatest and he’s won so many championships, so it has been awesome to kind of learn a little bit from him. It’s cool because Ricky will come ride with us whenever he feels like it. What’s crazy about it is that he hops on a stock bike and he still can rip. It’s pretty fun. Lately, he’s been coming out to the track and just kind of watching and helping me a little bit with what needs to be worked on. Like I said, it’s a long season and I spoke to Ricky and told him that I need to be there at the end. That’s how we’re coming into this season. We just want to be healthy and come out of the first round in a good position. I’m super excited, man. I just cannot wait. My teammates are riding well. I think everybody on our team is going to be awesome. I’m ready to battle with all those kids. And I’m going to call them kids because I’m an old man! Just how old are you these days? I’m 32, but, man, I’ll tell you something: for me, age is just a number. I feel great. Gosh, if I didn’t feel great, I wouldn’t want to train so hard and still race. Obviously, age makes it a little bit more challenging because you really have to know your body and know the certain way that you want to train because you don’t recover as fast. I must say, though, that it is super awesome to really know your body and focus on what you really need to. It’s cool and I like it. A lot of talk about how stacked the East Region is. What’s your way of seeing things when you look over the Minneapolis entry list? I’ll be honest with you. I haven’t even looked at the entry list and the reason why is that it doesn’t matter what coast you race. You’re going to run into fast people, regardless. I can look at the rider entry list and be like, “Yeah, this guy and this guy!” Man, I just don’t care! I just worry about myself. I need to go in and put in my own laps. I know there are going to be fast people and that there are going to be rounds where there are going to be faster people than me. Like I said, everybody is great. A lot of the manufacturers are stepping up and developing their bikes and all the bikes are getting closer together and they all work well, and everybody is training hard. I think it’s more of a mental game now once you get to the race and approach the weekend. Yeah, but you know you can do it. You’ve won races and led championships. Having said all that, you’ve also been slapped around by bad luck. Yeah, I know I can do it, man. Like you said, I’ve ran into some bad luck here and there. A lot of people seem to say, “Yeah, Marty, he’s awesome but he always seems to find a way to run into bad luck.” You know at the end of the day, there is only so much I can do. The reason why I am still here is because I still have faith in myself. I still believe in myself. I still believe that I can do it. I could have lost faith in 2014 and called it quits, but no, I’m still here. I’m here because I want to win. That’s in my blood. I want to win. There is not another reason why I am still racing. There is not a better feeling than being on top of the podium and I just cannot imagine what it would feel like to win the championship. That’s what I’ve worked with all of my heart to accomplish. I’ve worked my whole career to do this and it is something that I have set my mind to and it’s how I get motivated. Mitch Payton has been behind you all along the way and Mitch’s team could use a title right now. Good timing? Oh yeah, Mitch has been behind me. I mean I’m just so thankful to ride for somebody that just believes in me. A lot of people have lost faith in me and I understand. I understand that this is a tough sport and there are a lot of riders that are awesome. Yes, I still have Mitch that still believes in me and he does it for a reason. He sees something in me and I really hope that I can stamp that number one plate on his door. I mean that would mean the world to me.